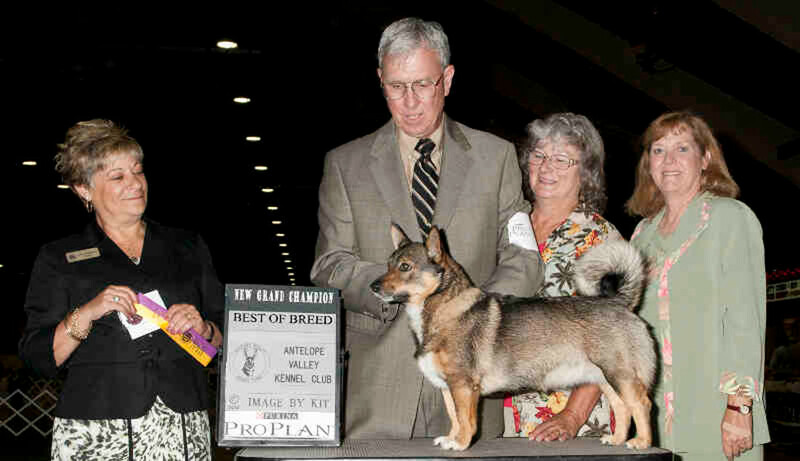 May 2012 in Pomona Sophie became an AKC Grand Champion. 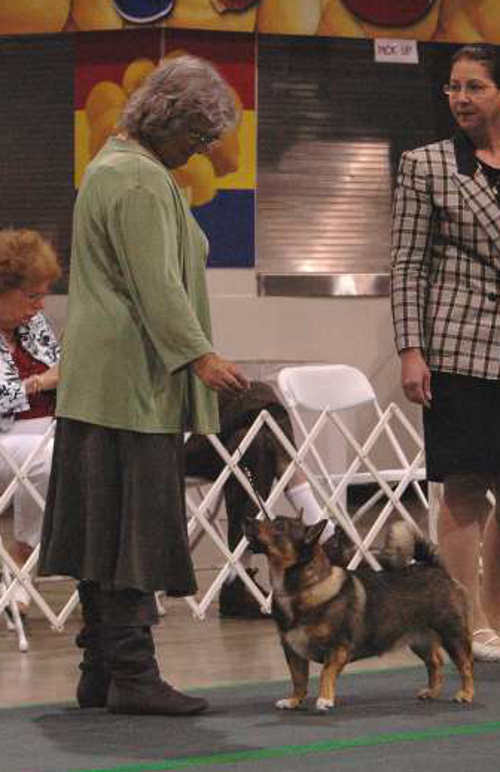 Doris with Sophie in the ring in Pomona 2012. Here we all are with Sophie and the Judge, May 2012 as Sophie made Grand Champion.